One of my favorite things about photography is the opportunity and many times luck of capturing a photo when it was not expected. Part of capturing a great image is capturing the correct light without to use of external man-made lighting. As most photographers know the best time to capture beautiful light is usually in the morning or at sunrise. I watch a lot of photography videos and it is funny to me to see a photographer spend all day talking about capturing a great image and he or she actually waits until sunset to take the image. There is a good reason for that. Sunset can provide the best lighting for an image. One of my favorite images was taken on the coast of North Carolina in Beaufort, North Carolina. The image was taken right before sunset near a dock with sailboats. My original plan was to take some photos of the boardwalk and the bridge in the area. I was set to take some photos of the bridge and happened to look behind me and noticed a very beautiful yellow and golden sunset behind the sailboats. The reflexion of the boats in the water also made the view very special. I learned a long time ago to always look around for unique images. I learned to always look behind you to see if a nice image is there. Actually, some of my favorite images came from looking behind me and was not my original goal for some photoshoots. The Beaufort Sunset in one of my favorite sunset images. It is not the traditional sunset image but it is very special to me. I love the boats, reflections in the water, and beautiful colors of the sky right before sunset. 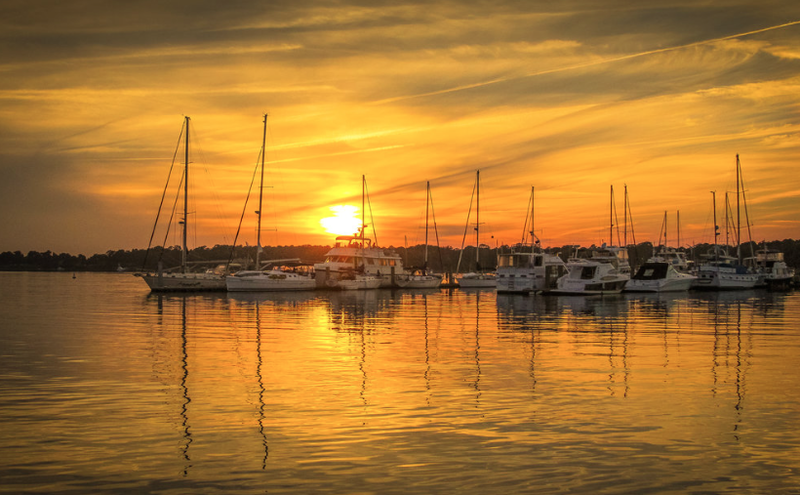 If you are interested in ordering a metallic paper print or metal print visit “Beaufort Sunset” on my website.